Oh, gaaaawd! No more Halo! Yeah, yeah...we know. Trust me: we know. Take a pill. 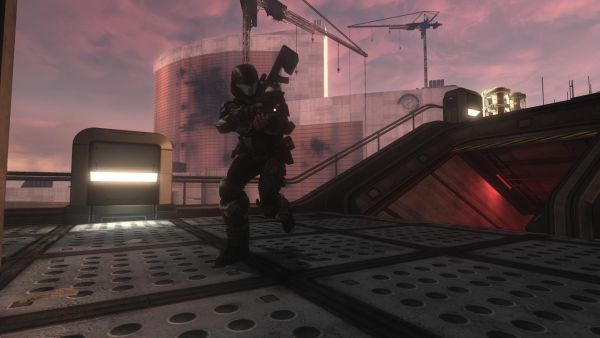 Beyond this intro is a very small collection of screenshots taken from my recent experiences in Halo 3: ODST's Firefight mode. We're Co-Optimus...we like to share. My first taste of Firefight was by myself. I had to work late -- very late -- and ended up getting home around 1:30 AM. I could not let the next day start, however, until I'd checked out Firefight, even if I had to do it alone. The following evening, I was able to snag an evening of co-op with my younger brother. 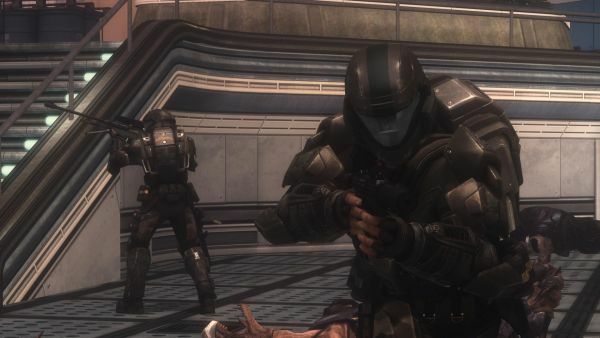 Neither one of us are pros by any means, but with two ODSTs we were able to make some headway. By far we loved stealing Brute kills from each other, and we explored three maps in the process. We restarted frequently due to the inherent mayhem of battling waves of enemies, but we cleared the first set and were satisfied for the time being. 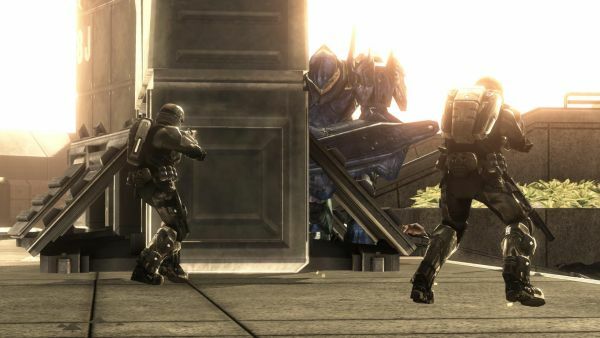 Since then, I've played with a handful of Co-Optimus members (apologies to the gents that I had to bail on last night), and an impromptu staff round during the Official Xbox Live Co-Op Night last Thursday. 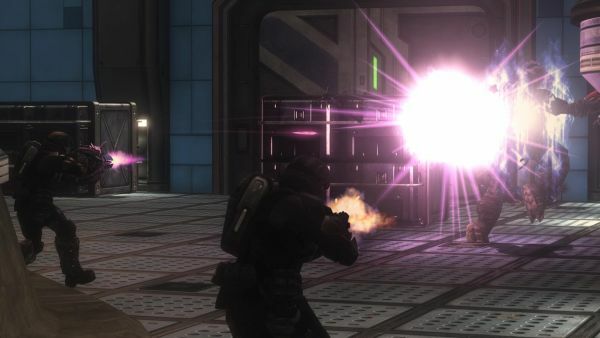 So far, though, the highlight of my Firefight adventures has to be my Gravity Hammer vs Banshee kill. I took a screenshot of it, and the image has received some flattering comments...on top of just plain looking as awesome as possible. To date, I still have not tried all of the Firefight maps. That's partly because I only recently finished the campaign (one map is unlockable later on in the campaign). I've also been blaming the lack of matchmaking as a hindrance to Firefight accessibility, but in my case the fact is that I've been spreading myself too thin. Without drop-in/drop-out support, this is definitely not a game you can just pick up anytime and start playing, unless you want to play solo, so I've been avoiding spending the 5-10 minutes needed to find an active session. Gripes aside, you can see that I've obviously been having quite a bit of fun within the short and scarce times that I do get to play. 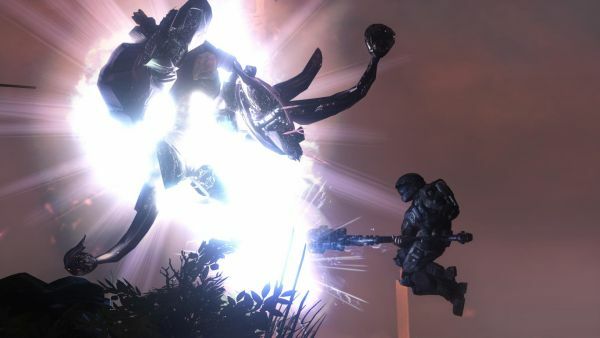 Frowns don't last very long once the five-second countdown begins and the first Covenant dropship spews a half dozen Grunts ripe for headshots. 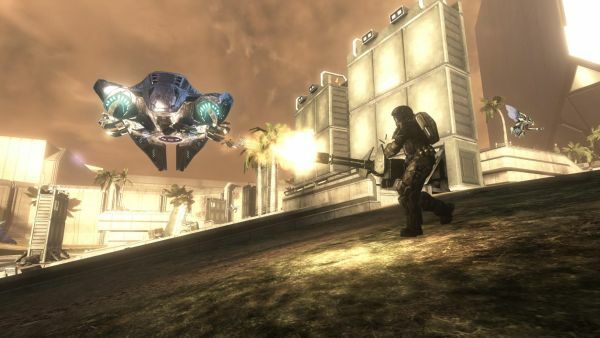 If you haven't gotten a hold of Halo 3: ODST yet -- and if you can come to terms with the price debate surrounding it -- I highly recommend you spend some time in Firefight. This co-op survival stuff...it's good for the soul. I sincerely hope you liked reading this very short recap; I know I had a great time playing. Keep visiting Co-Optimus for more This Week In Co-Op, and as always: leave comments (and screenshots)! All of the screenshots used in this post can be found here, as well as a few others from past excursions. Enjoy! Page created in 0.3106 seconds.